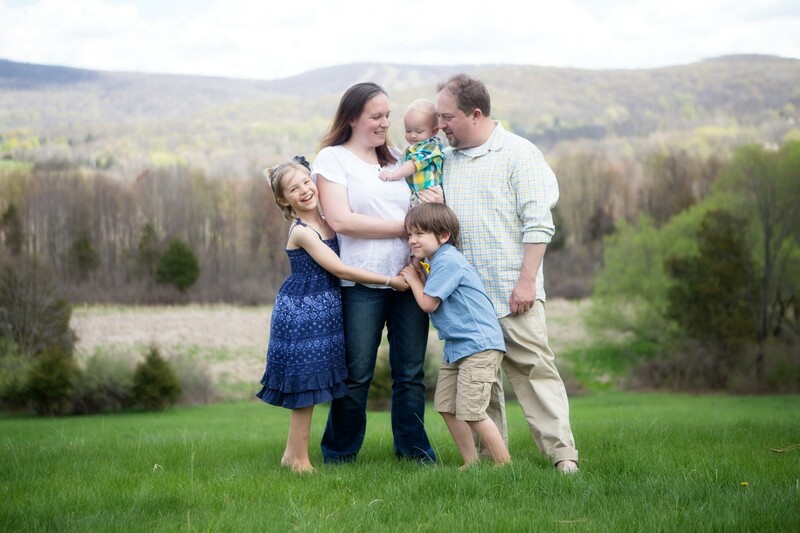 I am a lifelong Lutheran, a pastor’s wife, and a mom to three amazing kids. My firstborn child is named Rebekah. She is an excellent student with a deep love of learning. She is adored by classmates and teachers. She’s just as happy mountain biking and swimming in waterfalls and as she is twirling in fancy dresses and performing on stage. She is strong and determined. She is a beloved child of God. 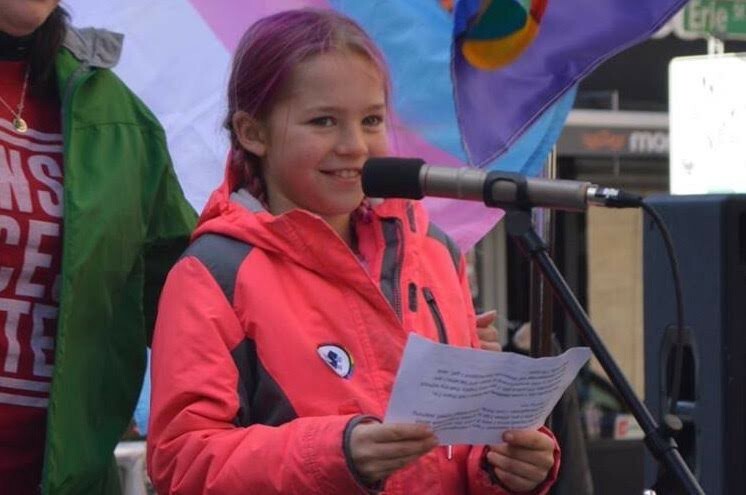 She is ten years old, and she is transgender. She hasn’t always been the happy, thriving kid that she is now. In the years before she transitioned to live as her authentic self in the world, my husband and I watched our child grow more and more anxious. We watched as she became increasingly uncomfortable in her own body and confused about her place in the world. We watched as depression took over, and before we knew it, we had a seven-year-old child in crisis. We had a seven-year-old child who pushed out the screen of her second story window and tried to jump out, a seven-year-old child who wanted to die. We have never been more scared in our lives. Rebekah shares her story with an audience. With the support of excellent professionals and a lot of of learning, we were able to pull her back from that window ledge and give her space to unpack her identity. We all came to realize she wasn’t a boy. She was a girl. At eight years old, we changed her name and pronouns and she began living as herself in the world. She immediately transformed into a confident, joyful child whose smile lights up an entire room. My husband is a Lutheran pastor in the Evangelical Lutheran Church in America. As a clergy family, we have lived out this journey publicly in our church and our community where Rebekah has been welcomed with open arms. We may not entirely understand the science around why people are born transgender or even what it all means for our daughter’s future, but we know that God created each and every one of us in God’s own image. 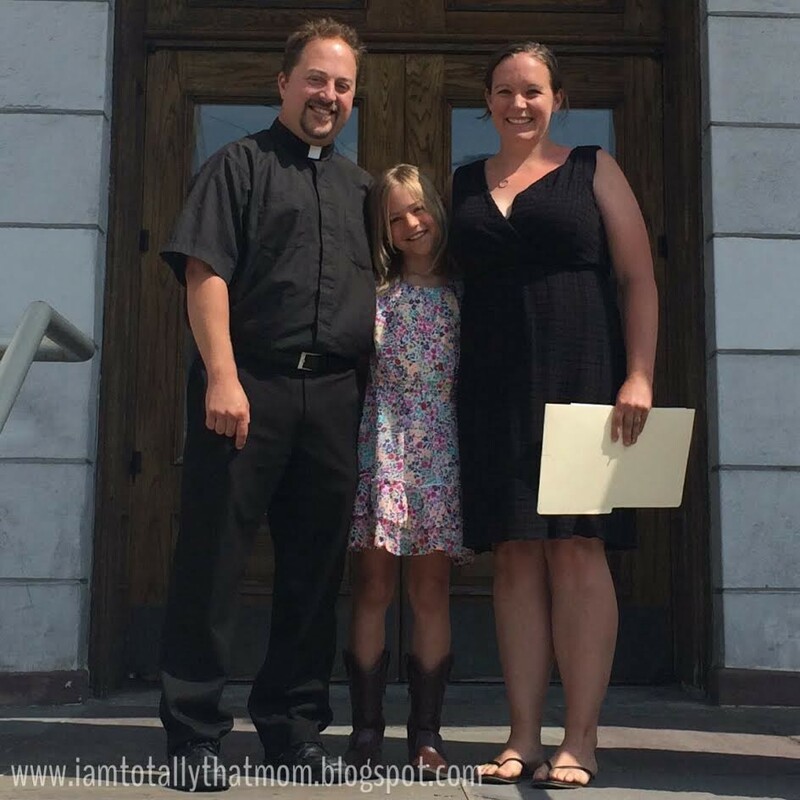 God does not love our daughter in spite of her gender identity. God did not put her in the wrong body. This is who she has always been, who God created her to be, and like I’ve heard from so many who want to dispute transgender identities, God doesn’t make mistakes. As beloved children of God, we are one. We are one body in Christ. When we claim our stories, tell our stories, and hear each other’s stories we are better able to enter into community with all God’s children and care for each member of the body. My daughter is transgender, and she is okay. My family stands with Gavin Grimm in the upcoming Supreme Court case as he fights for the rights of all students to a safe and affirming education. This case may specifically be about a transgender child’s ability to use the proper restroom, but it really is so much more than that. This is about dignity and compassion for transgender people. This is about the right to be who you are in the world with the same rights and protections of any other individual. My husband, Rev. Christopher Bruesehoff, was one of nearly 2,000 faith leaders to sign an amicus brief supporting Gavin Grimm and the rights of all transgender students, standing in solidarity with the trans community. We are proud to be a part of this historic case, the first concerning transgender equality to ever go before the U.S. Supreme Court — and we hope to see the Supreme Court rule on the right side of history in this case this spring.